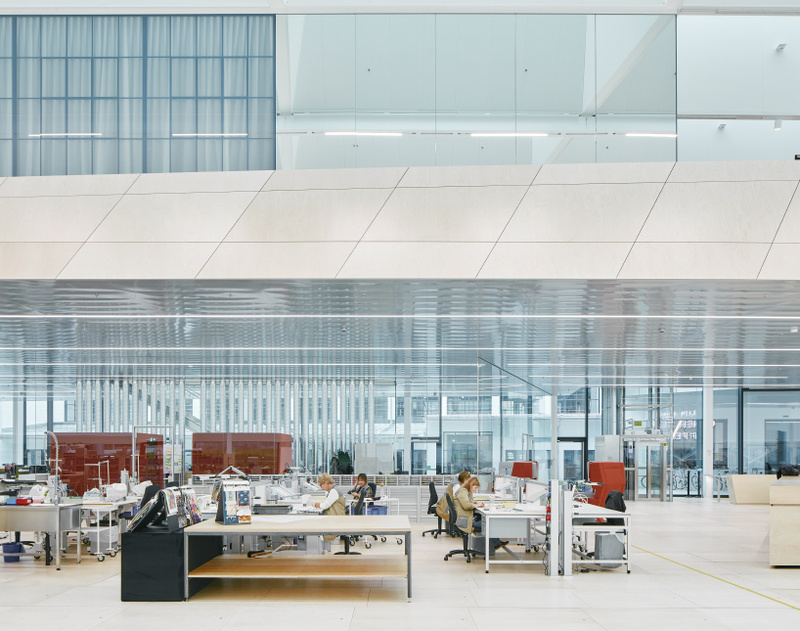 snøhetta has completed a new building for swarovski, which merges the austrian company’s design, product development, and production into a single facility. 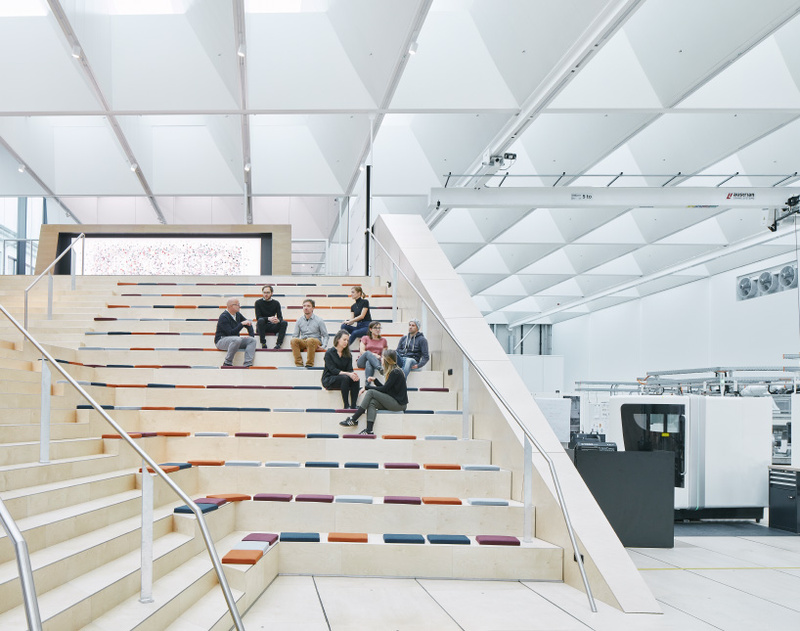 billed as a ‘crystal workshop for the 21st century’, the scheme has been designed for creative co-creation, rapid prototyping and representation. 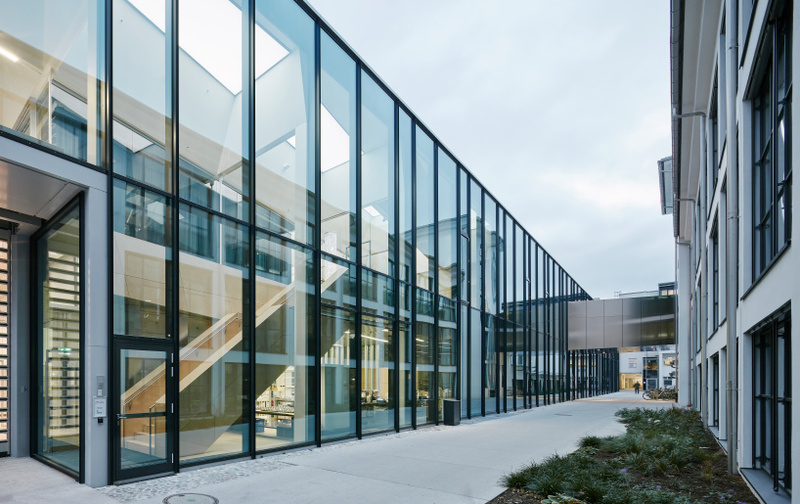 the architects say that the facility — located in wattens, austria — allows the company to ‘align creative visionary processes with technical production requirements’. daylight enters through openings in the ceiling, known as ‘cassettes’. 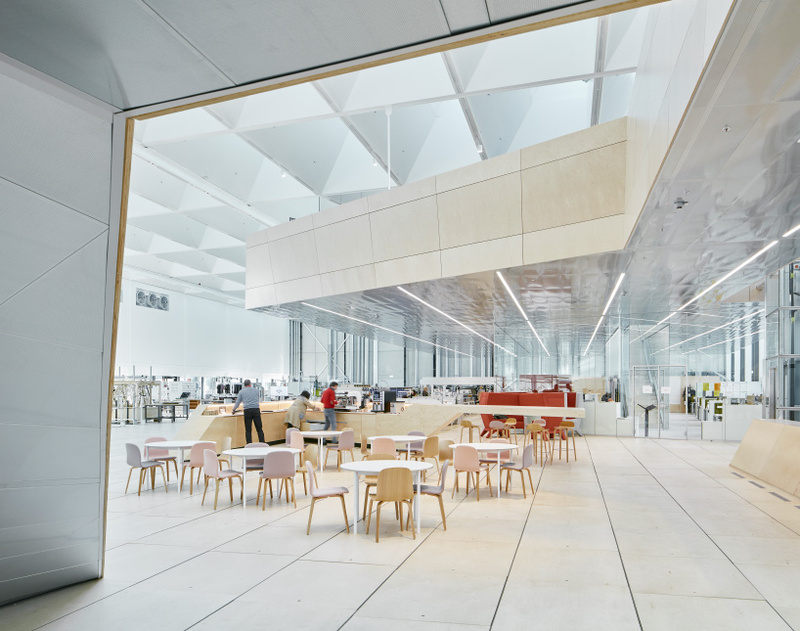 this ceiling construction comprises 135 openings covered with a protective solar coating that allows daylight to enter gently into the building. 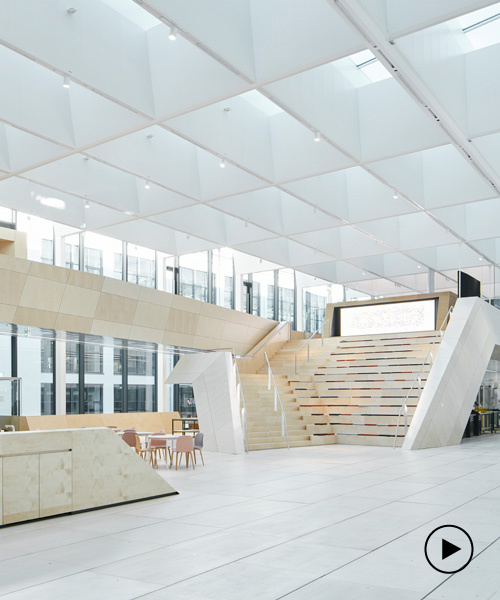 the self-supporting white steel ceiling consists of a repetitive 6×3-meter pattern with a slightly skewed grid. importantly, the ceiling structure integrates all necessary building services. 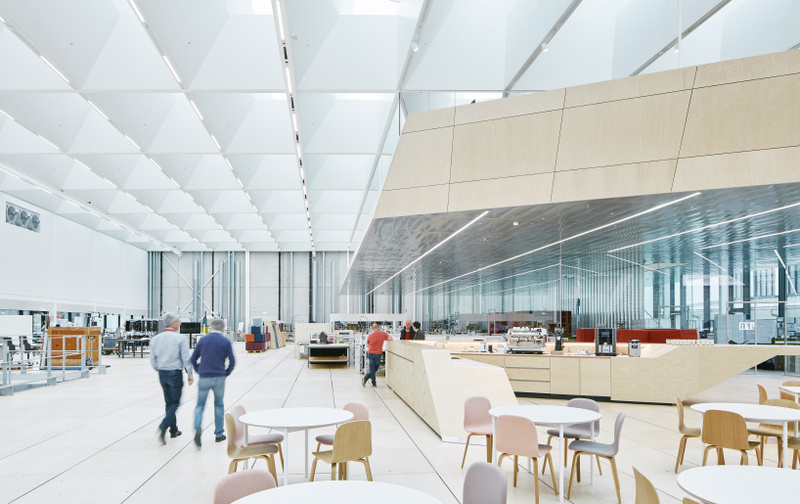 the facility’s walls are painted white, while light birch wood panels cover the floor. 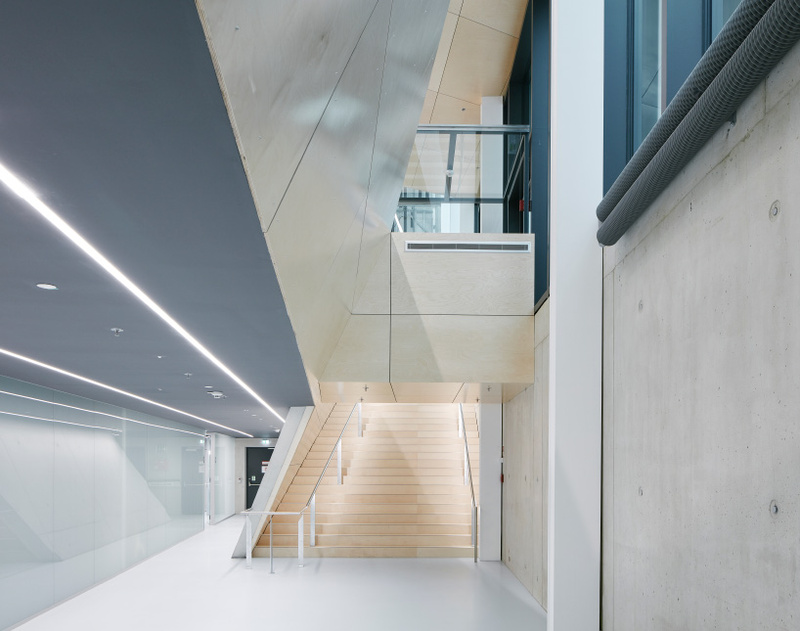 a large open staircase, which also serves as a meeting point and arena, provides access to the main floor from the wooden platform which is structurally suspended from the ceiling. 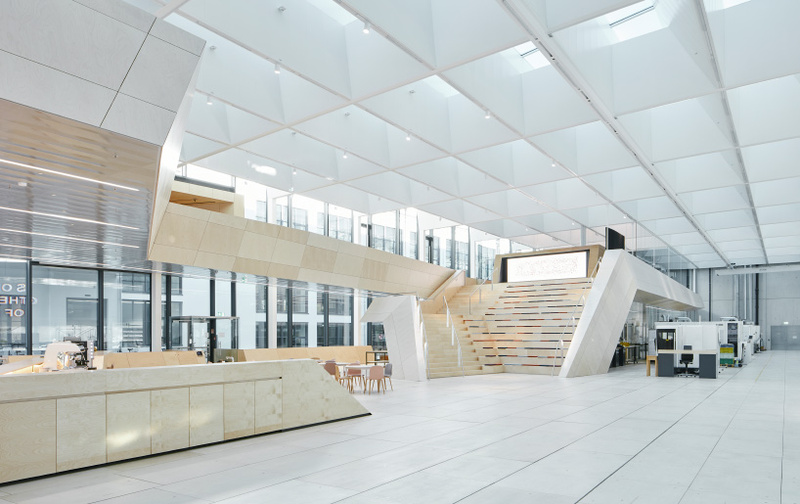 offices, showrooms, and presentation rooms are integrated into this wooden sculptural and gallery-like structure. 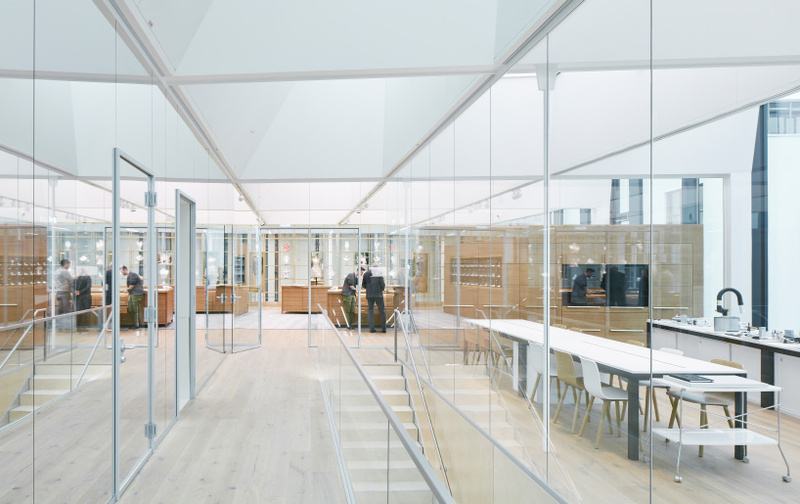 these rooms are enclosed by glass walls and the interior is dominated by materials such as oak wood, brass, stained glass and a variety of textiles. 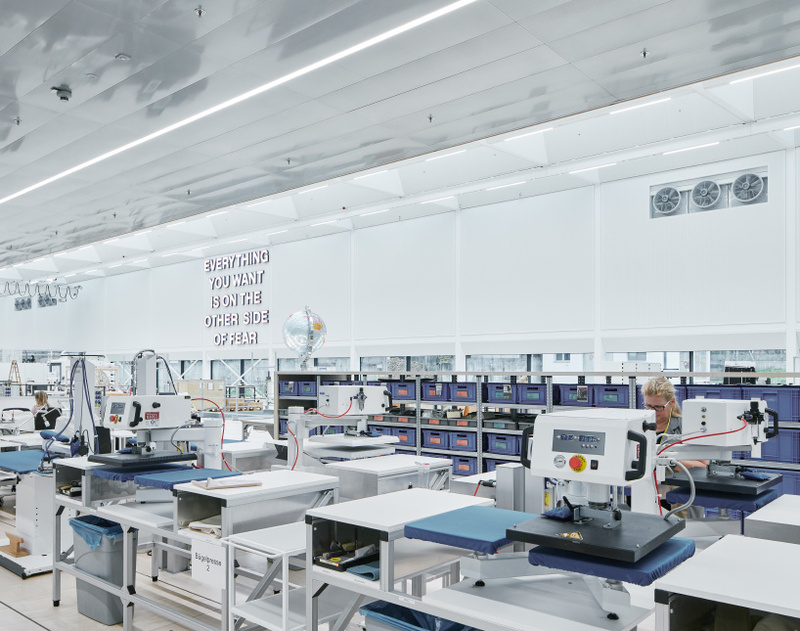 a raised floor provides flexibility and space for necessary technical equipment and cables. 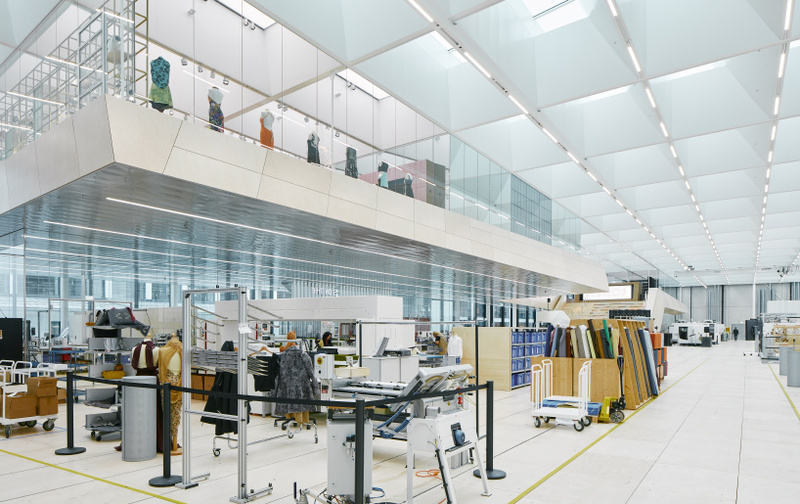 meanwhile, a ‘chandelier hole’ — an open space plunging from the main floor and down to the basement — allows for prototypes up to 14 meters high to be assembled and tested on-site.